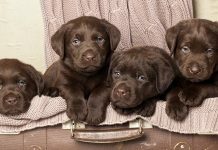 This honest review and assessment of Labrador Retriever characteristics and temperament, will help you decide whether or not one of these magnificent dogs is the right companion for you at this point in your life. We’ll be looking at the Labrador’s aptitudes and abilities, his personality traits and his renowned temperament. Who Should Own a Labrador? We’ll also be finding out what makes this breed so popular in so many parts of the world and at where our Labs originally came from. We’ll be digging down to find out what exactly are the attributes that make a Labrador a Labrador. Join us as we look at how the Labrador breed has become divided and how the two different types of Labrador Retriever may differ from one another. 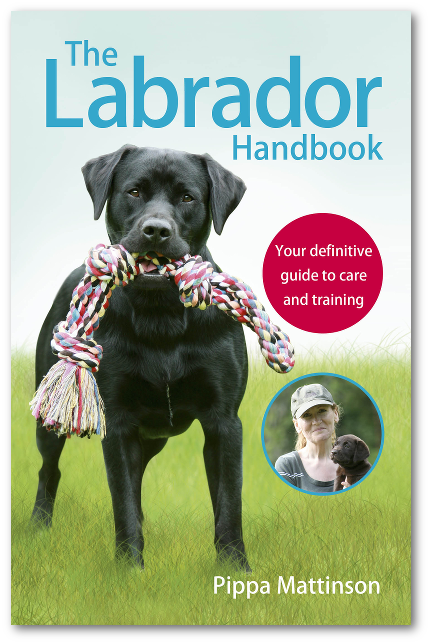 Find out about the kinds of problems that can arise if people are unprepared for some aspects of a Labrador’s personality. And at the kinds of roles that the Labrador is most suited to. You can, of course, use the green menu to skip to the parts that interest you the most! 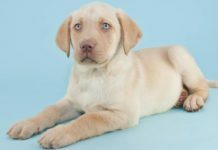 Before we look at the physical characteristics of the Labrador Retriever and at his personality traits and abilities, it is helpful to briefly note where all these characteristics come from. [wp_ad_camp_5]The Labrador falls into the category of ‘gundog breeds’ of dog. The history of his development as the world’s favourite gundog is a fascinating story. The origins of the Labrador have had a profound influence on his appearance, personality and behaviour. 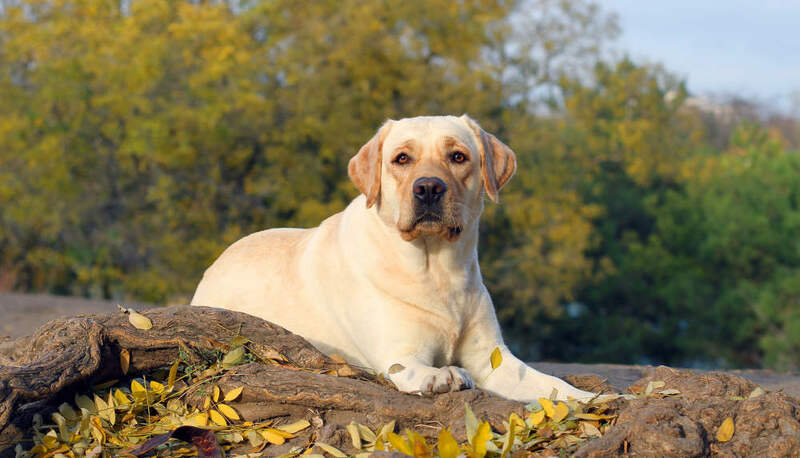 The Labrador was originally bred as a fisherman’s companion, working alongside the men and women who inhabited the inhospitable island of Newfoundland, long before modern conveniences, and technology was available. This was a job requiring a waterproof coat thick enough to withstand very low temperatures, and an ability to swim in strong currents and for long periods of time. Imported to England, the Lab’s role changed to that of shooting companion, where his skill at finding game, his ability to carry objects in his mouth without harming them, and his intelligence and biddable temperament would make him the world’s finest retriever. 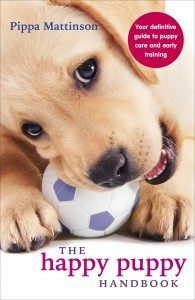 From those early beginnings, Labrador Retrievers divergence into many different roles – from therapy dog, to military dog, to companion – and his competence at everything he is asked to do, has defined him. He is clearly a dog of many talents. Let’s take a look now, at the kind of dog we can expect to meet when we bring a Labrador into our homes. The Labrador retriever is a sturdily built medium to large dog. He may weigh anything from 50 to 80lbs once adult, depending on his breeding. [wp_ad_camp_2]He has a well-proportioned body with a healthy balance between length of leg and length of spine. A shape that is often described as ‘short coupled’. What does a pedigree Labrador look like? The distinguishing features of the Labrador Retriever are well known. He has a broad skull with ‘chiselled’ features that are softened by his kindly expression and soft ear flaps. His body is powerful and well muscled and ends in a thick tail that tapers to a point. His full length muzzle houses a good cooling system and a strong set of jaws with a full compliment of 42 large white teeth. The Labrador’s short dense ‘wash and go’ coat comes in one of three gleaming solid colors and needs little grooming to keep it looking smart. The coat has a shining slightly oily surface and the individual hairs are straight, although a slight ripple can be seen along the back of some dogs once the adult coat is established. A thick undercoat and the water resistant top coat keep a Labrador warm in the coldest water. And a quick shake on emerging from the sea or lake, sees the majority of the water removed from its repellant surface. The genetics of Labrador coat colour is interesting and more straightforward to understand than many other breeds of dog. Strictly speaking Labradors come in only three colours. Yellow, Chocolate (which used to be called Liver), and Black. You will hear people use all sorts of other descriptions, but officially there is no such thing as a ‘Golden Labrador’, or a ‘Fox Red Labrador’, these are simply variations of the colour yellow. The only colours recognised by the Kennel Clubs of the United Kingdom, and the USA are Yellow, Chocolate, Black. His sleek water resistant coat, soft flapped ears and thick otter tail give the Labrador an almost seal-like appearance. In the water, this likeness is intensified. He looks as at home there as he clearly feels, swimming low in the water and confidently powered by strong webbed paws. On land he is equally sleek and powerful, giving the overall appearance of a fit and healthy canine athlete. Let’s look a little closer at that athletic ability. The Labrador is a versatile dog who can sprint at speed over short distances or maintain an easy loping stride that will carry him for mile after mile. For a moderately large dog he is suprisingly agile, capable of jumping heights well in excess of a metre. The extent of his physical prowess may vary depending on the type or group of Labradors he belongs to, and we’ll look more closely at that in a moment. The Labrador’s kind expression is mirrored by his kind nature. His easy going, tolerant temperament and love of water are hallmarks of the breed, but of course, not all Labradors fit this breed description precisely. It is fair to say that sometimes poor temperament traits such as aggression and nervousness can appear in the breed. But is it also fair to say that this is not the norm. 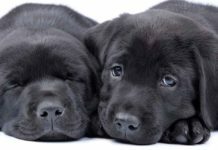 On balance, the labrador’s good reputation is justified, and provided care is taken in the choice of a lab puppy, you stand a good chance of getting a friendly, good natured dog. His gentle mouth, is capable of carrying delicate items with great care, and his urge to pick up and carry things is strong. His ability to track items by scent alone is extraordinary and it is no surpise that Labradors are so sought after by bomb disposal teams, customs and excise authorities and those engaged in sports where tracking is involved. Others can be bumptious, clumsy, and bouncy, especially when young. Temperament, abilities and general personality may of course vary somewhat from individual to individual. But more importantly, in the last half century, the Labrador has been divided into two distinct types. 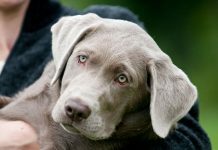 We’ll take a look at those now because not every Labrador is suited to every home, and some homes are better suited to one type than to the other. 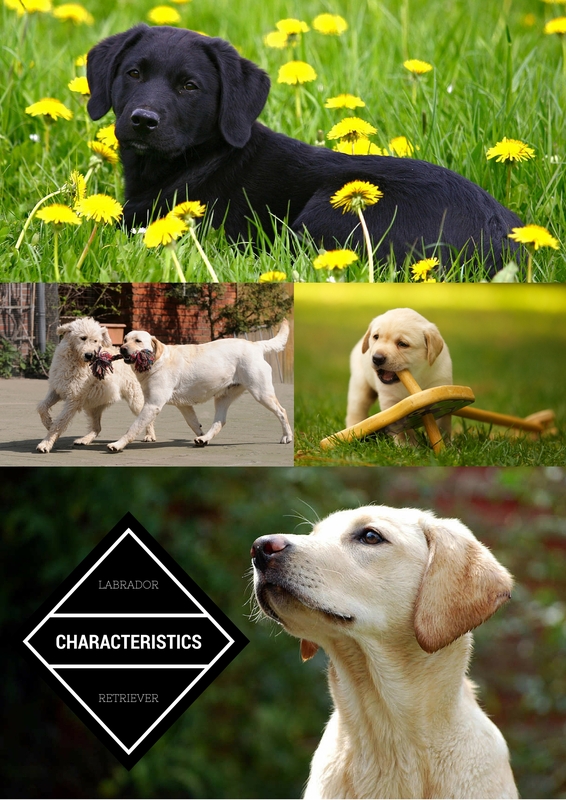 Some of the traits of the Labrador Retriever depend which group of Labradors he belongs to. For over the last fifty or so year, Labradors in both the UK and the USA have effectively become divided into two quite distinctive strains. Labrador characteristics vary considerably between those bred for the show ring, and those bred for the field. The British Kennel Club breed standard also describes a dog with a broad skull, wide nose, and thick tapering ‘otter tail. The KC also describes the breed as ‘agile’, though this is a slightly optimistic description of some show dogs. The show bred labrador does have a sturdier frame than his working cousins, but unfortunately many show dogs are also fairly overweight. 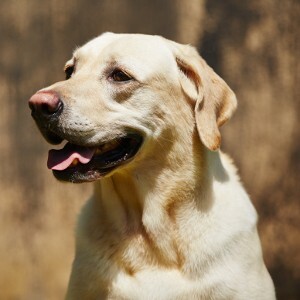 A large number of labradors are born each year from working stock, and their appearance is likely to be very different. The field bred labrador, known as the American Lab in the USA and the Working Lab in the UK, is an altogether ‘racier’ specimen than his show bench cousin. He often lacks the characteristic ‘otter tail’. He is likely to have longer ears, a narrower head and generally less substance. His eyes may be closer together/more forward facing and he is likely to be more ‘sensitive’ in nature, and more enthusiastic about retrieving and generally racing around. Whether this division in the breed is a good thing or a bad thing is a matter for argument. Most Labradors, even those from show stock have an inborn urge to retrieve things. This is often reflected in their fondness for carrying things around in their mouths and even chewing things up. The basic urge to chase and pick things up is of course a result of generations of breeding for the Labrador Retrievers’ original purpose. The instinct to bring those things back can be more variable! These are dogs with friendly, often exuberant, personalities and a sense of fun. Despite the differences in show and field strains of labrador, there are still many Labrador characteristics that are common to both types. In particular their dependable good nature, sense of fun, and love of human companionship which perhaps more than anything else has made them so popular as pets today. Despite his popularity both as a companion and as a service dog The Labrador is first and foremost a retriever. His role as such is to remain close to his master at all times, until required to retrieve an animal or bird that has been shot. Anything he is asked to do, including retrieving gently to hand, he is expected to do willingly, unquestioningly, and quickly. 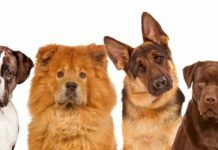 It is not surprising that this lovable and versatile dog is simply the most popular family pet in the USA, UK and many other parts of the world. Who are Labradors well suited for? Despite the fact that Labradors are so popular, some people are not well suited to life with a large dog that is boisterous and destructive when young, sheds copious amounts of hair and has a particular affection for mud and rolling in dead things. [wp_ad_camp_1]Labradors are social and affectionate dogs who do not like being left alone for long periods of time, so if you work full time, then daily dog care is essential. If you are not house proud and have time to exercise train, and simply be with, an athletic, affectionate, and powerful dog. You might well enjoy life with a Lab. 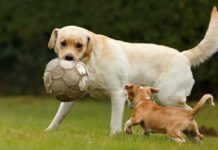 You can find out more about whether you and a Labrador would be a good match in this article : Six things to consider before getting a Lab. What do you love most about your Labrador, and what do you think is the most significant characteristic of Labradors as a breed? Hi,I have 4 1/2 month old yellow Labrador,jumps up bites my clothes and arms,not lower body,he also bares his teeth at me when I put him in hallway,he is hyperactive.and yaps,on the good side will sit,give paws for treats,very intelligent,have had 3 Labradors over the years,but not like Buster help please . Hi my 3 year old choc lab keeps refusing to go out on a walk. She only wants to go one way and if i try a different way she lies down and refuses to move. I have tried treats and toys but she takes them but still wont move. I disagree with the content of the article that states there is no such thing as a fox red lab, and that they are only a ‘variation of the color yellow’. I have a very red dog who is very much a Labrador through and through. (If only I could share a pic in this post…) there are many different colors for many different breeds, just because the AKC does not recognize them does not mean they do not exist. My family has owned AKC yellow labs, chocolate labs, and golden retrievers. My husband and I welcome our first fox red lab into our home a year ago and I have never received so many compliments on such a beautiful, well tempered dog. My yellow lab has papers, but she also has very wavy fur from her neck to her tail. The Vet thinks she may be mixed with Chesapeke Bay Retriever. Can a purebred have wavy fur? What is your question Peg? What color is a yellow lab’s tongue? hi pippa i have 1yr old labrador and it meets me before 3days just i want know that why he is try to lay on me and some times he bark on me so what i do i am from india….. I am adopting a puppy in the next couple of months. ..I have read many articles on the characteristics of Labs…I do not see any distinctive character feature based on the colour of the Lab. Would this be correct? Hello. I have Black Labrador who lost his leg by chasing cars and he still does it. Is there any way to stop this bad habit? I’ve tried keeping him inside and chaining him up before leaving and he still does it. Please I don’t want him to get hit again. I had a American Yellow Lab for 11-1/2yrs.He was great when young,he wanted to hump a lot.As he got older,he was much better.To me,Labs are great dogs but when you get a puppy whether Lab or other breed it is a lot of work,but worth it because they give you great happiness + love.I would rather live with a lab than a person who is going to aggravate me + give me a hard time.Randy was like a son to me from 4 months to 11-1/2yrs.He died from Larangial Paralysis(Lyranz closes + hard to breath).He started to cough + thought maybe asthma or something else.His vet said it was the climate(July).I no accept+ took him to Animal Medical Center+ was told Larengia Paralysis.When other side of strange closed,he would dy+he did.In 2,010,Randy was vomiting lots+took him to Animal Med.Ctrl.+had stomach tumor that cost me lots of money,but was worth it.He passed on 12/19+my Xmas was very sad.I finally replaced him with a female yellow lad and she is great.I am very,very happy I got her.I’ve had a female German Shepard,Randy,Bella(lab mix)great dog but won’t walk with me with rotator walker cause was hit my car + long recuperation got her attached to friend.To me,all breeds of dogs are great!It depends on how they are treated,not abused,fed properly,taken care medically(vacinations)spayed or neutered,played with,walked+ provided with toys to play + chew because will do if puppies.Any kind of animal that makes you happy is what is important!Just realize,when you get any kind of pet,they need shots,medical care,food,etc.You take care of them+ they do likewise!This is how I feel+ don’t regret getting my dogs.Good luck with your pets and get them training and this helps immensely.Good Luck! I see yellow Labs with different colored noses. My Gunny’s nose is black, while my neighbor’s yellow Lab has a light-brown nose. Is one color considered a standard for the breed? We have an eight year old yellow lab called Kia. Everyday he surprises us with something new. He is getting sore legs now but still loves his walks. My grandsons adore him just like we do. I don’t know what we would do without him. My dog named roxy i bought when she is one month old .At starting she behaved nicely but now she is tending to bite our hands ,clothes. Iam studying so we tie her using dog rope because iam having old grandmother she cant catch her if she runs so we tie her .Also she is eating mud while yaking her walking what to do mam ? Please give me a suggestion. Hi my dog is two months old golden colour labrador she is slient when sleeping,but after waking up she is coming and bitting our clothes even some times tending to bite our. Hand while petting it what to do. She is also eating mud while taking for walking please give a suggestion. hi,i acquired my black-lab 6 mos ago ,now he’s ,how can i train my lab in frequent barking in the early at 4am,i alreary teached the fundamentals(sit-heel-stay)but the barking n jumping-running off me is my main probs is how can stop form doing this bad attitude of my maxxi?pls advice me….more thanx on ur site. i acquired my d blacklab when he is 2mos old,ive been training him until now agedamentals(sit-heel-stay),why until now when i open his cage he keep on keep off me,jumping n always barking in the early at 4am..how can i train my lab on preventing all of this?he now 8mos. We will be having a cross breed of Labrador (father) and aspin (mother), aspin is a Philippine dog. I just want to know if he could retrieve his father’s features. I’m so excited to have him and is it good if we separate him from his mum? How many weeks shall we get him? And if we get him earlier, can we feed him with powdered milk for babies? Can I get some tips and advice? Will be waiting for your reply pippa. I hav a four month old labrador .his he a strange bone in his head ..the shape of the head looks ok but theres a round bone (i guess its bone ) .i asked the vet and he gave me deworming tab and some supplement for the bone .is it normal or is it a problem ? MY FEMALE LABRADOR DOG IS BLACK BUT NOT FULLY BLACK…..IN STOMACH REGION AND LEG TIPS IT IS WHITE……AND EVERYTHING ELSE IS NORMAL AS IN LABRADOR PUPPIES…..MAY I KNOW IS THIS NORMAL TO HAVE WHITE SHADE IN DOWN PORTION…?? Hi,I have a yellow Labrador,4 1/2 months,he is very overpowering,and rough,jumps up and bites at my clothes and arms,he doesn’t bite my legs,he also bares his teeth,I have tried calming,to no avail,I put him in the hallway,and leave him there,tried ignoring hom when I let him back in,he just starts again,I take him on long walks pulls a lot,but I’m managing that,it’s just the aggression,I’ve had 3 labs over the years,but not one like this,help !! Hello! I need your help, I bought labrador mixed jack russell 2 months 4 days ago from online store which is olx.com with pictures, my colleagues always tease me that it was a scam coz they believe it was Aspin (Philippine dog) because for them it’s not look like a labrador with mix and for me it was hard to identify what breed is. I asked the owner of the dog and she told me they been breeder for almost 3years i’d asked for the pictures of the mother and the father of the puppy i had bought but she haven’t provided pictures (proof) Please help i can send you the pictures of my puppy. I have a three month old labrador cross breed pup, his dad is a pure lab as far as i know, and his mom is not, we call it here in the philippines as aspin, that means a filipino dog, is there a way this pup can be like the pure breed ones that will retrieve stuff or something? We just transfered our 4 months old lab into a cage, he`s always howling and barking when we will go inside the house, is it normal for him? Someone said to me that he’s a labrador breed.but I’ve a little doubt that he’s realy a labra or not. I’m not sured. He is black n has spots of white colour on his neck, tail and feets. And also tell me, can a female labra give born to 10 to 12 puppies in a time.? ?please help me..!! Will a Lab bark if he will be transfered in a cage? I have a yellow Labrador mixed with a Retriever. He shakes and gets really nervous when he gets baths but is fine afterwards. Why is that? I would like to ask what is an optimal grow of my Labrador puppy. she is 13 weeks old and she has 10,5 kg. Unfortunately I am to able to measure her height. I miss such device. On your web there is written that grow fast is back but without any detail. I am from the Czech Republic and here the standard says for female dog is the best 54 – 56 cm. Can you say in % of total height she should be in the week 13 or 14th? Many thanks. I bought my female leb dog (Maggy) when she was just 25 days old. i took her everywhere i go and we both play much when i am free. now she understand me and stay by my side all the time.. even when i go to bed she come close to me and sleep beside me. I love her so much and she is now 7months old still the best. she loves water alot and know learn thing very fast. I have a 6months old yellow lab. I want to train him on basic commands and obedience. But he is too scarred to interact with the trainer and just wants to run away from the scene. The trainer doesn’t use any harsh means and its just 2days since they met and the trainer has already given up hope saying its very difficult to train such a scarred puppy. My lab generally isn’t so frightened with strangers but this is a one of case and its doing him no good. Another issue is that the puppy doesn’t stay alone for even 5minutes and needs someone to be with him always. Hi, it sounds as though your puppy is not socialised. Check out The importance of socialising your puppy and How to socialise your puppy for more information and help. I have a chocolate lab, He always eats shits of cows and when I call him he does not come to me at that moment. I just hate such things. Please tell me what to do? Why is my chocolate lab always in hunt mode or wanting to always chew on stuff!! He chews on everything and it is quite annoying!!! How old is your labrador Scott? Hi my name is Rachel and I am a middle school student in the Madison area and I am doing a project on Labrador retrievers and was wondering if you could answer a few questions for me. please get back to me as soon as you can. if you can not help me could you please tell me someone who can. thank you for your time. Hi Rachel, I would be happy to answer your questions. Just pop into the forums and post up your questions there.